Who doesn't love sriracha? This spicy sauce in the famous rooster bottle is a staple in refrigerators across the U.S. So of course we just had to make a Sriracha Bacon to satisfy our sriracha and spicy food fans. This sweet and spicy honey bacon is flavored with real sriracha sauce and a touch of honey sweetness to balance out that singular hot flavor. This bacon is bursting with flavor and pairs perfectly with eggs and hash browns or enjoy it all on its own. 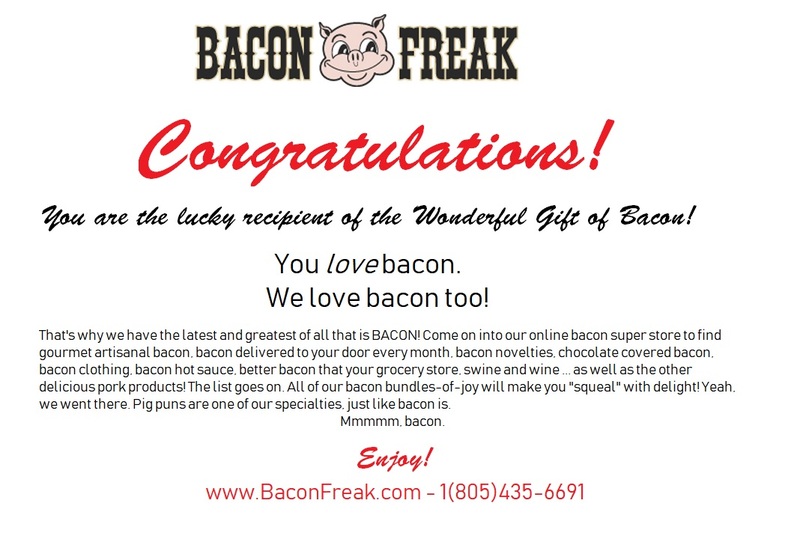 Be prepared to be blown away by flavor with Sriracha bacon from Bacon Freak! Net wt. 16 oz.